I think it’s fair to say that most of us have set some New Year’s resolutions one year or another. For me, it’s always been in the spirit of the night, when I’m having a great time and feeling hopeful for the year ahead. I’m sure a few of those years my resolutions were influenced by the fact I had been having a few drinks. In the glow of New Year’s eve, it’s easy to see everything through that hopeful haze and make big sweeping statements. 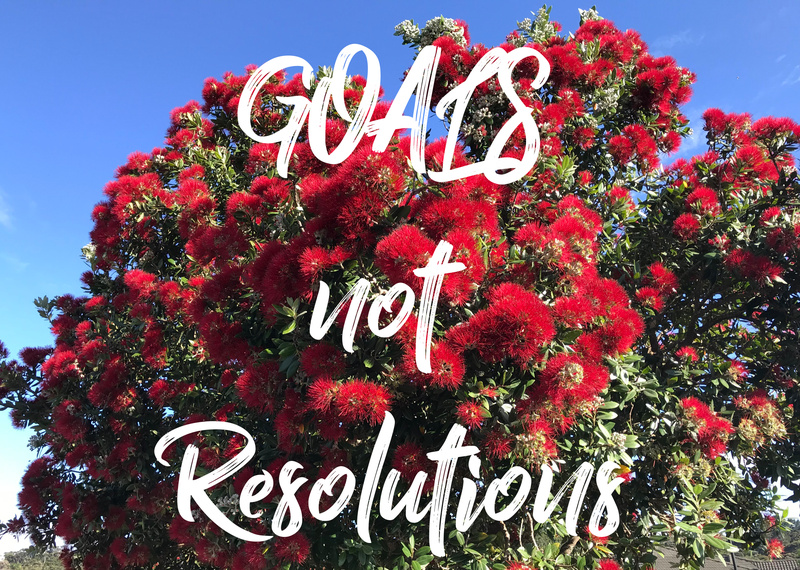 This year, I want you to set goals, not resolutions. The New Year’s resolutions I made tended to be really big, general, sweeping statements. Things like, I will get on top of my weight this year, I will get super fit and athletic this year, I will be better with my diet and stop eating junk food. I think these are things that most people want to change at one point or another in their lives. I don’t think that New Year’s resolutions are the best way to achieve that change. If you’re wanting to make real, substantial change in your life goals are your secret weapon. Just having a few in mind will help you make progress but if you write them down you will increase the chances of succeeding. In creating your goals it’s important to make sure they are SMART. If you haven’t heard of SMART goals before I’ll give you a quick run-down. SMART goals are Specific, Measurable, Achievable (or Ambitious if that’s how you roll), Reasonable and Time-bound. Using SMART as a guide it takes, “I want to get fit this year,” to “I will complete a 10k running event in October and I will train three times a week for at least six months beforehand.” Changing the way you think about and structure your goals gives you very clear guidance. Instead of trying to get fit you now have an event to work towards. You have a date, it’s a little bit ambitious because of where you’re at with your fitness but you know with enough training it’s entirely reasonable and achievable. The specific statement of a 10k running event gives you a big box to tick at the end, it’s measurable. The fantastic thing about goals is you don’t have to drop everything and stick to a new regime immediately. With a resolution most of us are trying to change a big aspect of our behaviour overnight and that’s hard. Working towards a goal is not quite so instant but the momentum you build up in getting closer to achieving it helps push you in other areas of your life. Once you’ve taken the first few steps and have started achieving your goals you will naturally start to look at what else you can change and improve in your life. The best thing about goals is that you can change and evolve them over time. The path to success is never a straight line and your goals don’t need to stay static. A resolution is just that, a statement or promise to yourself to not do or to improve something in your life. A goal is there, ripe for the picking and you can always set more once you’ve ticked the first lot off. Keep growing, keep learning, take the time to appreciate where you’re at. There is no final destination to done-land in life, we’re all on this ride together let’s make it the best ride we can! If you really want to supercharge your journey and have someone on your side. Be able to dream big in a safe space and have an accountability partner to give you that extra little push then you will benefit from having a coach. Even if you are really self-motivated and do what you set your mind to, working with a coach will take you to the next level. I am taking on a limited number of new coaching clients this year and if you’re keen to kick-start 2019 I want to hear from you. 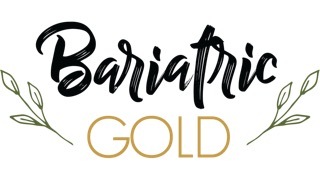 No matter where you’re at in your bariatric journey there is something we can work on! You can find the current bariatric coaching packages I offer here and you can get in touch with me here.